EXPERTS on subjects which afflict Irish life such as ‘nod and a wink culture’ and ‘stonewalling people looking for answers’ have stated that such things will become a thing of the past for Ireland once John Delaney vacates his current role at the FAI, WWN understands. The FAI is the last remaining organisation in the country that has questions hanging over its day to day running or the conduct of its employees, meaning Ireland is tantilisingly close to becoming a utopian society made up solely of well run entities. 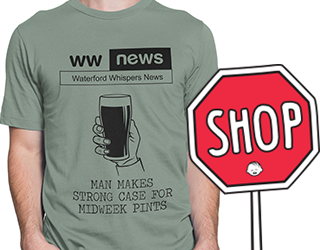 The news has been welcomed by Ireland’s overworked and exhausted whistleblowers. “That’s right, the FAI is the last of them. Sure there’s no local authorities, government departments, semi-state bodies, construction firms, local businesses big and small or multi-national behemoths that have got any massive ongoing issues that would give you a heart attack if you were to be made aware of them,” confirmed one corporate governance expert, Anthony Penrose. Celebrations for the rumoured imminent departure of Delaney from the FAI are to be made part of other planned festivities to mark Ireland’s ongoing idyllic freedom from people in power abusing their position to the detriment of ordinary members of the public. “Now, there’s a chance the festivities will not go ahead unless we throw a few brown envelopes this one fellas way, but look we have to play ball and it’ll be worth it to keep Ireland a haven for honest and well run businesses and organisations,” concluded Penrose.